Always wondered what it’s like in the Chippewa Valley Museum after hours? Come find out while exploring American Gothic at the Museum, which kicks off this year’s After Dark series. After the museum closes, visitors can enjoy this “edu-taining” experience inspired by Grant Wood’s ‘American Gothic’ painting. This one-time event is rural-themed and will have musicians playing banjo and fiddle music, including Eau Claire’s Shane Leonard and Portland’s Anna Trivel. To stick with the night’s rural-inspired theme, there’ll be an opportunity to churn your own butter and even carve soap. Plus, Heartbeat Center for Writing Literacy and the Arts will host some grown-up storytelling. Folks can check out the antique rifle show ‘n’ tell, heirloom seeds from a seed library, folk art demonstrations, and the scavenger hunt around the museum. As for food options, Bubblees BBQ food truck will be at the museum. 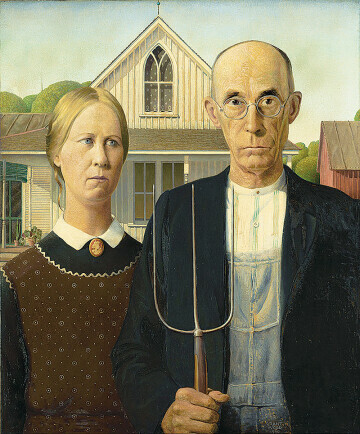 Don’t be afraid to have fun and dress up like the subjects of Wood’s ‘American Gothic’ painting! 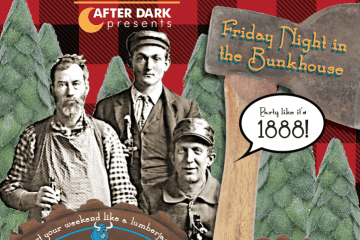 Future After Dark series events this year include Friday Night at the Bunkhouse and Hogwarts: After Dark. Tickets include the music and activities, a drink, and an opportunity for door prizes. Proceeds from ticket sales go toward growing the After Dark series.